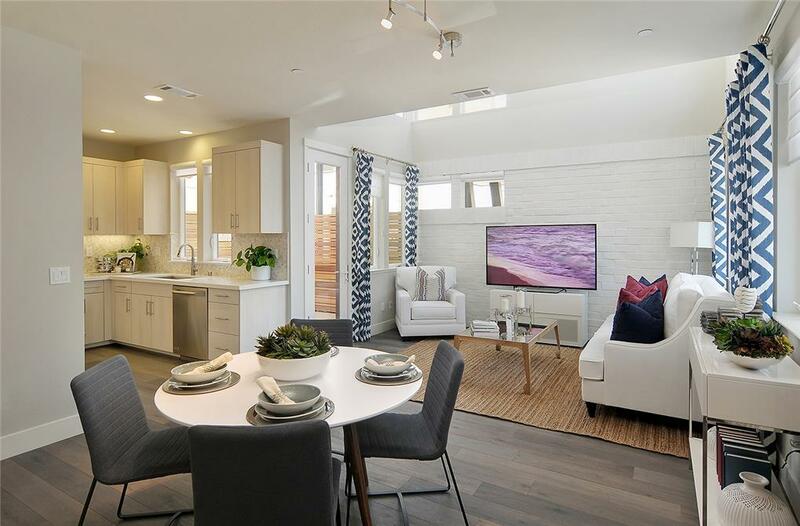 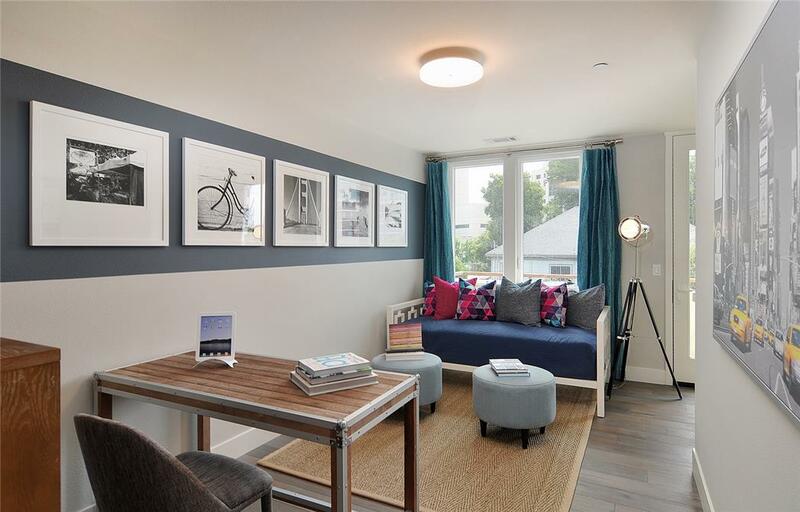 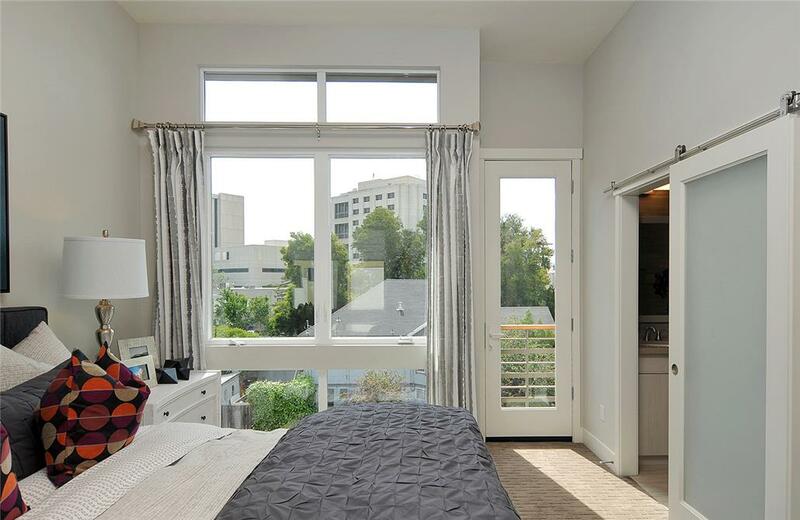 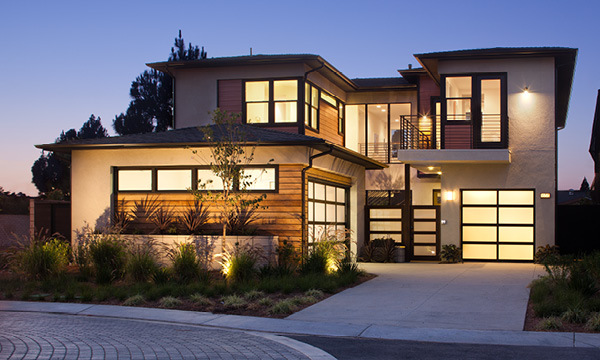 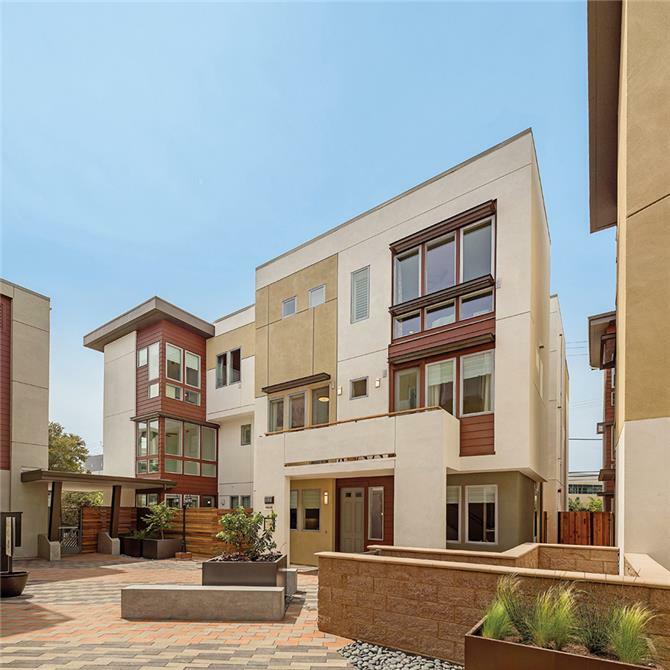 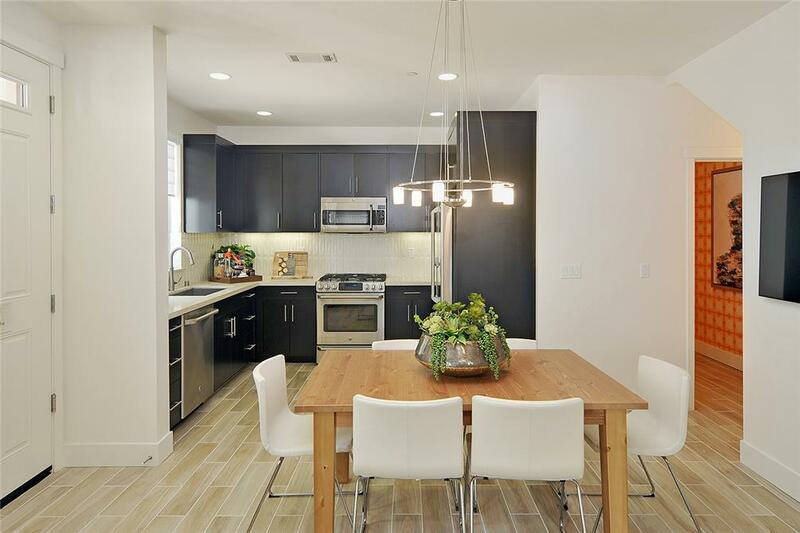 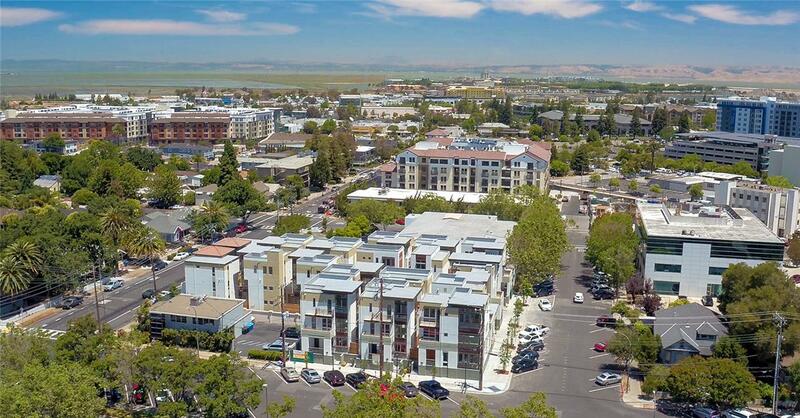 At the heart of Silicon Valley, Classics at Centennial Place is an unconventional housing solution that takes advantage of higher density land prices to offer high-tech buyers unique single-family homes within downtown Redwood and walking distance of transit. 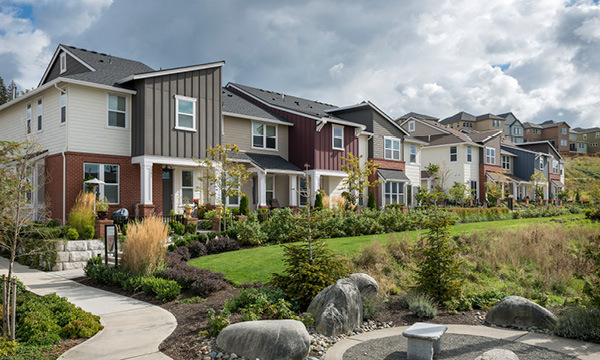 The homes are built over a concrete podium with underground parking, achieving a density of 34.6 dwelling units per acre. 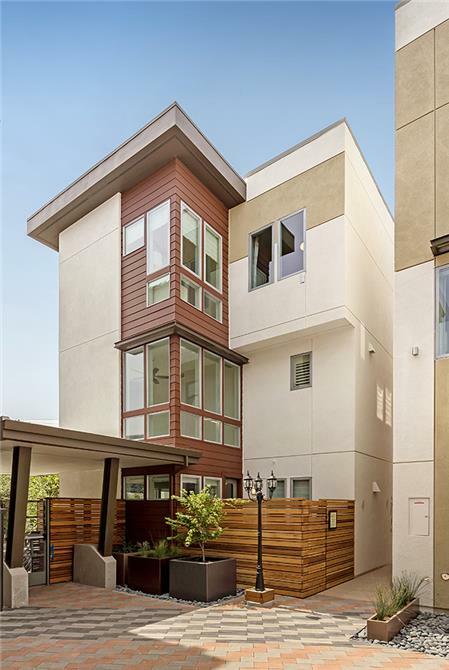 An internal urban courtyard is shared by 18 homes each with its own additional private patio. 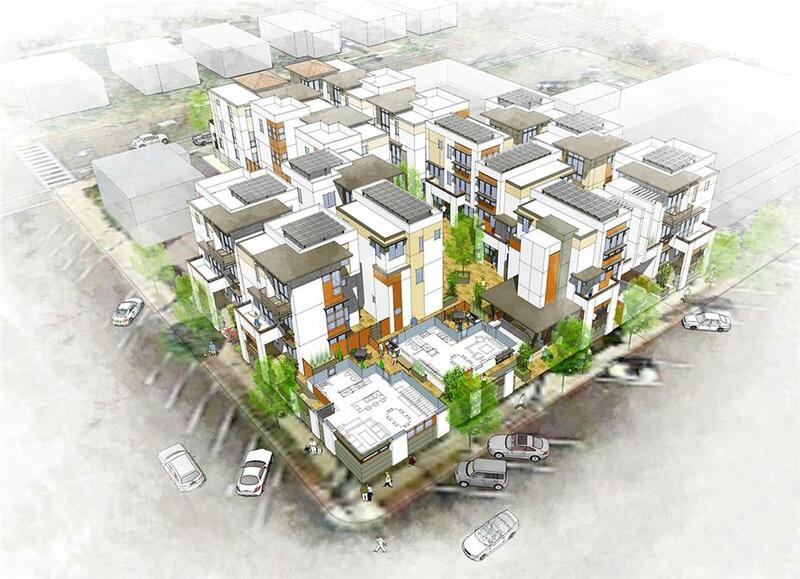 The project maintains a compatible neighborhood scale, and porches for homes along the streetscape are raised slightly to provide a little separation and privacy from the public realm.